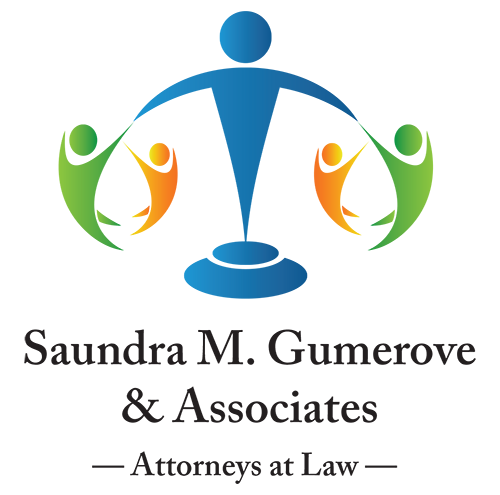 Saundra M.Gumerove has enjoyed a distinguished legal career that spans 30 years-initially practicing in the areas of corporate law, banking, commercial finance, real estate and most recently, in the special needs sector. She earned a B.A. degree from the School of Government and Public Administration at American University, and a J.D. degree from Hofstra University Law School. For five years, Saundra worked for Senator Charles Goodell and North Carolina Congressman James Broyhill as a legislative assistant and caseworker. The birth of Saundra’s first child changed everything. She defines herself as an attorney, an advocate, and most importantly- the parent of a developmentally disabled, learning disabled and medically involved young adult. After realizing the other parents of children with disabilities were facing similar issues, Saundra began providing them assistance and support-both personally and professionally. She refocused her practice to assisting others in gaining vital services for their loved ones, including special education, guardianships, life planning, estate planning, and Special Needs Trusts. Saundra has been recognized countless times for her community service and achievements. She is a sought-after speaker on legal matters and special needs issues. She has participated in Continuing Legal Education programs for the New York State Bar Association, Nassau County Bar Association, Suffolk County Bar Association and the Academy of Special Needs Planners. She has also presented seminars for parents of children with disabilities for Nassau-AHRC, the Developmental Disabilities Institute, and Life’s WORC, where she is an advisor to its Pooled Supplemental Needs Pooled Trust. The Town of Oyster Bay nominated Saundra “Woman of the Year.” She participated in the National Town Hall Meeting sponsored by Advancing Futures for Adults with Autism Spectrum Disorders, which resulted in a national agenda presented at a conference in Washington, D.C. She was the proud recipient of the EP Maxwell J. Schleifer Distinguished Service Award-Mets Spirit Award during Disability Awareness Night at Shea Stadium for her work on behalf of disabled Americans. In 2010, Saundra received the Hodgson/Jacobs Law Award from NYSARC, Inc. That same year, she was named Touro Law School’s Public Interest Attorney of the Year and was inducted into the Jericho High School Hall of Fame for her work on behalf of people with disabilities. She was named a 2011 Best Advisor and presented with a Lifetime Achievement Award by The New York Enterprise Report. Most recently Saundra was named a 2015, 2016 & 2017 Super Lawyer. In February of 2012, Saundra was invited by the Obama administration to attend a White House meeting, “Community Leaders Briefing” as part of the three-person delegation from NYSARC, Inc., of New York State and the only attendee from Long Island. She serves as NYSARC Southeastern Regional V.P., Chairperson of AHRC- Nassau's Governmental Affairs Committee, and is also on the Board of Directors of Nassau AHRC. Saundra is a member of the American Bar Association, the New York State Bar Association,the Nassau County Bar Association where she served as Chair of the Elder Law Committee. She lives with her husband Jeff Bernstein in Jericho, NY. They are the parents of three lovely daughters.